This paper presents a transformerless static synchronous compensator (STATCOM) system based on multilevel H-bridge converter with star configuration. This proposed control methods devote themselves not only to the current loop control but also to the dc capacitor voltage control. With regards to the current loop control, a nonlinear controller based on the passivity-based control (PBC) theory is used in this cascaded structure STATCOM for the first time. As to the dc capacitor voltage control, overall voltage control is realized by adopting a proportional resonant controller. Clustered balancing control is obtained by using an active disturbances rejection controller. Individual balancing control is achieved by shifting the modulation wave vertically which can be easily implemented in a field-programmable gate array. Two actual H-bridge cascaded STATCOMs rated at 10 kV 2 MVA are constructed and a series of verification tests are executed. The experimental results prove that H-bridge cascaded STATCOM with the proposed control methods has excellent dynamic performance and strong robustness. The dc capacitor voltage can be maintained at the given value effectively. Active disturbances rejection controller (ADRC), H-bridge cascaded, passivity-based control (PBC), proportional resonant (PR) controller, shifting modulation wave, static synchronous compensator (STATCOM). Fig. 1. Control block diagram for the 10 kV 2 MVA H-bridge cascaded STATCOM. Fig. 2. Block diagram of PBC. Fig. 3. Experimental results verify the effect of PBC in steady-state process. (a) Ch1: reactive current; Ch2: compensating current; Ch3: residual current of grid. (b) Ch1: reactive current; Ch2: compensating current; Ch3: residual current of grid. Fig. 4. Experimental results show the dynamic performance of STATCOM in the dynamic process. Ch1: reactive current; Ch2: compensating current; Ch3: residual current of grid. Fig. 5. Experimental results in the startup process and stopping process. (a) Ch1: reactive current; Ch2: compensating current; Ch3: residual current of grid. (b) Ch1: reactive current; Ch2: compensating current; Ch3: residual current of grid. This paper has analyzed the fundamentals of STATCOM based on multilevel H-bridge converter with star configuration. And then, the actual H-bridge cascaded STATCOM rated at 10 kV 2 MVA is constructed and the novel control methods are also proposed in detail. The proposed method has the following characteristics. 1) A PBC theory-based nonlinear controller is first used in STATCOM with this cascaded structure for the current loop control, and the viability is verified by the experimental results. 2) The PR controller is designed for overall voltage control and the experimental result proves that it has better performance in terms of response time and damping profile compared with the PI controller. 3) The ADRC is first used in H-bridge cascaded STATCOM for clustered balancing control and the experimental results verify that it can realize excellent dynamic compensation for the outside disturbance. 4) The individual balancing control method which is realized by shifting the modulation wave vertically can be easily implemented in the FPGA. The experimental results have confirmed that the proposed methods are feasible and effective. In addition, the findings of this study can be extended to the control of any multilevel voltage source converter, especially those with H-bridge cascaded structure. B. Gultekin and M. Ermis, “Cascaded multilevel converter-based transmission STATCOM: System design methodology and development of a 12 kV ±12 MVAr power stage,” IEEE Trans. Power Electron., vol. 28, no. 11, pp. 4930–4950, Nov. 2013. B. Gultekin, C. O. Gerc¸ek, T. Atalik, M. Deniz, N. Bic¸er, M. Ermis, K. Kose, C. Ermis, E. Koc¸, I. C¸ adirci, A. Ac¸ik, Y. Akkaya, H. Toygar, and S. Bideci, “Design and implementation of a 154-kV±50-Mvar transmission STATCOM based on 21-level cascaded multilevel converter,” IEEE Trans. Ind. Appl., vol. 48, no. 3, pp. 1030–1045, May/Jun. 2012. S. Kouro, M. Malinowski, K. Gopakumar, L. G. Franquelo, J. Pou, J. Rodriguez, B.Wu,M. A. Perez, and J. I. Leon, “Recent advances and industrial applications of multilevel converters,” IEEE Trans. Ind. Electron., vol. 57, no. 8, pp. 2553–2580, Aug. 2010. F. Z. Peng, J.-S. Lai, J. W. McKeever, and J. VanCoevering, “A multilevel voltage-source inverter with separateDCsources for static var generation,” IEEE Trans. Ind. Appl., vol. 32, no. 5, pp. 1130–1138, Sep./Oct. 1996. Y. S. Lai and F. S. Shyu, “Topology for hybrid multilevel inverter,” Proc. Inst. Elect. Eng.—Elect. Power Appl., vol. 149, no. 6, pp. 449–458, Nov. 2002. The photovoltaic (PV) generation is increasingly popular nowadays, while typical loads require more high-power quality. Basically, one PV generator supplying to nonlinear loads is desired to be integrated with a function as an active power filter (APF). In this paper, a three-phase three-wire system, including a detailed PV generator, dc/dc boost converter to extract maximum radiation power using maximum power point tracking, and dc/ac voltage source converter to act as an APF, is presented. The instantaneous power theory is applied to design the PV-APF controller, which shows reliable performances. The MATLAB/Simpower Systems tool has proved that the combined system can simultaneously inject maximum power from a PV unit and compensate the harmonic current drawn by nonlinear loads. Figure 1. proposed design of PV-APF combination. Figure 2. controller topology of dc/ac VSC in the PV-APF combination. Figure 3. output power of pv during running time. Figure 4. duty cycle and vpv changed by mppt. (a) output voltage of pv unit. (b) duty cycle of mppt. Figure 5. utility supplied current waveform. Figure 6. utility supplied current and pcc voltage waveform. Figure 7. thd in four modes of pv system operation while utility supplies power. (a) dq-current mode. (b) pv-apf mode. (c) apf mode. (d) only utility supplies load. Figure 8. pv supplied current waveform. Figure 9. real power from the (a) utility, (b) pv unit, and (c) load, while the utility supplies power. Figure 10. imaginary power from the (a) utility, (b) pv unit, and (c) load, while the utility supplies power. Figure 11. utility received current waveform. Figure 12. thd in four modes of pv system operation while utility receives power. (a) dq-current mode. (b) pv-apf mode. (c) apf mode. (d) only utility supplies load. Figure 13. real power from the (a) utility, (b) pv unit, and (c) load, while the utility receives power. Figure 14. imaginary power from the (a) utility, (b) pv unit, and (c) load, while the utility receives power. Regarding the multifunctional DG concept, in this paper, a dynamic grid-connected PV unit is built and the PV-APF combination system with a local controller is proposed. The controller implements two purposes, which are supplying power from the PV unit and filtering the harmonics of the local nonlinear load. The new controller based on instantaneous power balance has been explained accordingly. The MATLAB/Simpower Systems simulation shows good performances of this controller. The positive influence of MPPT on maximizing PV power output is also validated. The switching among three controllers to dc/ac VSC brings different current waveforms. As a result, the conventional dq-current controller should not be applied when PV is connected to a local nonlinear load regarding power-quality viewpoint. Preferably, the PV-APF controller compensates the utility currents successfully. While a PV unit is deactivated, the APF function can still operate. It is, therefore, technically feasible for these power electronics-interfaced DG units to actively regulate the power quality of the distribution system as an ancillary service, which will certainly make those DG units more competitive. L. Hassaine, E. Olias, J. Quintero, and M. Haddadi, “Digital power factor control and reactive power regulation for grid-connected photovoltaic inverter,” Renewable Energy, vol. 34, no. 1, pp. 315_321, 2009. N. Hamrouni, M. Jraidi, and A. Cherif, “New control strategy for 2-stage grid-connected photovoltaic power system,” Renewable Energy, vol. 33, no. 10, pp. 2212_2221, 2008. M. G. Villalva, J. R. Gazoli, and E. R. Filho, “Comprehensive approach to modeling and simulation of photovoltaic arrays,” IEEE Trans. Power Electron., vol. 24, no. 5, pp. 1198_1208, May 2009. N. R. Watson, T. L. Scott, and S. Hirsch, “Implications for distribution networks of high penetration of compact _uorescent lamps,” IEEE Trans. Power Del., vol. 24, no. 3, pp. 1521_1528, Jul. 2009. I. Houssamo, F. Locment, and M. Sechilariu, “Experimental analysis of impact of MPPT methods on energy ef_ciency for photovoltaic power systems,” Int. J. Elect. Power Energy Syst., vol. 46, pp. 98_107, Mar. 2013. This paper presents a novel ac-dc power factor correction (PFC) power conversion architecture for single-phase grid interface. The proposed architecture has significant advantages for achieving high efficiency, good power factor, and converter miniaturization, especially in low-to-medium power applications. The architecture enables twice-line-frequency energy to be buffered at high voltage with a large voltage swing, enabling reduction in the energy buffer capacitor size, and elimination of electrolytic capacitors. While this architecture can be beneficial with a variety of converter topologies, it is especially suited for system miniaturization by enabling designs that operate at high frequency (HF, 3 – 30 MHz). Moreover, we introduce circuit implementations that provide efficient operation in this range. The proposed approach is demonstrated for an LED driver converter operating at a (variable) HF switching frequency (3 – 10 MHz) from 120Vac, and supplying a 35Vdc output at up to 30W. The prototype converter achieves high efficiency (92 %) and power factor (0.89), and maintains good performance over a wide load range. Owing to architecture and HF operation, the prototype achieves a high ‘box’ power density of 50W/ in3 (‘displacement’ power density of 130W/ in3), with miniaturized inductors, ceramic energy buffer capacitors, and a small-volume EMI filter. Fig. 1: The proposed grid interface power conversion architecture comprises a line-frequency rectifier, a stack of capacitors, a set of regulating converters, and a power combining converter. Fig. 2: Operation of the prototype converter from a 120Vac line voltage to a 35Vdc output. Each figure illustrates voltage and / or current waveforms over the ac line cycle: (a) the measured 120Vac line input voltage and the measured voltages across the capacitor stack (output of the bridge rectifier) (b) the measured voltages across C1 and across C2 for a delivered output power of 29W (c) the measured input current waveform at 29W output power (d) the measured input current waveform at 20W output power (e) the output voltage waveform at 29W output power (f) the switched capacitor voltage waveform at 29W output power. A new single-phase grid interface ac-dc PFC architecture is introduced and experimentally demonstrated. In addition to enabling high efficiency and good power factor, this PFC architecture is particularly advantageous in that it enables extremely high operating frequencies (into the HF range) and reduction in energy buffer capacitor values, each of which contributes to converter miniaturization. The proposed stacked combined architecture significantly decreases the voltage stress of the active and passive devices and reduces characteristic impedance levels, enabling substantial increases in switching frequency when utilized with appropriate converter topologies. Moreover, good power factor is achieved while dynamically buffering twice-line-frequency ac energy with relatively small capacitors operating with large voltage swing. The prototype converter achieves high efficiency and good power factor over a wide power range, and meets the CISPR Class-B Conducted electromagnetic interference (EMI) Limits. The prototype converter based on the architecture and selected high-frequency circuit topology demonstrates an approximate factor of 10 reduction in volume compared to typical designs. The prototype has a very high ‘box’ power density of 50W=in3 (‘displacement’ power density of 130W=in3) with miniaturized inductors, a small volume of EMI filter, and ceramic energy buffer capacitors. Lastly, as described in the appendix, the proposed architecture can be realized in various ways (e.g., with alternative topologies) to realize features such as galvanic isolation and universal input range. O. Garcia, J. Cobos, R. Prieto, P. Alou, and J. Uceda, “Single phase power factor correction: a survey,” Power Electronics, IEEE Transactions on, vol. 18, no. 3, pp. 749–755, May 2003. G. Moschopoulos and P. Jain, “Single-phase single-stage power-factor corrected converter topologies,” Industrial Electronics, IEEE Transactions on, vol. 52, no. 1, pp. 23–35, Feb 2005. B. Singh, B. Singh, A. Chandra, K. Al-Haddad, A. Pandey, and D. Kothari, “A review of single-phase improved power quality ac-dc converters,” Industrial Electronics, IEEE Transactions on, vol. 50, no. 5, pp. 962–981, Oct 2003. Energy Star, “Energy star program requirements for integral LED lamps,” Energy Star, Tech. Rep., Aug. 2010. ——, “Energy star program requirements for computers,” Energy Star, Tech. Rep., Jun. 2014. D. Perreault, J. Hu, J. Rivas, Y. Han, O. Leitermann, R. Pilawa- Podgurski, A. Sagneri, and C. Sullivan, “Opportunities and challenges in very high frequency power conversion,” in Applied Power Electronics Conference and Exposition, 2009. APEC 2009. Twenty-Fourth Annual IEEE, Feb 2009, pp. 1–14. Photovoltaic (PV) generation systems are widely employed in transformer less inverters, in order to achieve the benefits of high efficiency and low cost. Safety requirements of leakage currents are met by proposing the various transformers less inverter topologies. In this paper, three transformer less inverter topologies are illustrated such as a family of H6 transformer less inverter topologies with low leakage currents is proposed, and the intrinsic relationship between H5 topology, highly efficient and reliable inverter concept (HERIC) topology. The proposed H6 topology has been discussed as well. For a detailed analysis with operation modes and modulation strategy one of the proposed H6 inverter topologies is taken as an example. Comparison among the HERIC, the H5, and the proposed H6 topologies is been done for the power device costs and power losses. For evaluating their performances in terms of power efficiency and leakage currents characteristics, a universal prototype is built for these three topologies mentioned. Simulation results show that the proposed HERIC topology and the H6 topology achieve similar performance in leakage currents, which is slightly worse than that of the H5 topology, but it features higher efficiency than that of H5 topology. Fig. 2. CM voltage and leakage current in H6 topology. (a) CM voltage. (b) Leakage current. Fig. 3. Drain–source voltages in H6 topology. (a) Voltage stress on S5 and S6 . (b) Detailed waveforms. Fig. 4. DM characteristic of H6 topology. Fig. 5. Efficiency comparison of H5, HERIC and H6 topologies. 3) The excellent DM performance is achieved like the isolated full-bridge inverter with uniploar SPWM. Therefore, the proposed H6 topologies are good solutions for the single phase transformerless PV grid-tied inverters. S. B. Kjaer, J. K. Pederson, and F. Blaabjerg, “A review of single-phase grid-connected inverters for photovoltaic modules,” IEEE Trans. Ind. Appl., vol. 41, no. 5, pp. 1292–1306, Sep/Oct. 2005. B. Sahan, A. N. Vergara, N. Henze, A. Engler, and P. Zacharias, “A single stage PVmodule integrated converter based on a low-power current source inverter,” IEEE Trans. Ind. Electron., vol. 55, no. 7, pp. 2602–2609, Jul.2008. M. Calais, J. Myrzik, T. Spooner, and V. G. Agelidis, “Inverters for single phase grid connected photovoltaic systems—An overview,” in Proc. IEEE PESC, 2002, vol. 2, pp. 1995–2000. In this paper, a simple static var compensating scheme using a cascaded two-level inverter-based multilevel inverter is proposed. The topology consists of two standard two-level inverters connected in cascade through open-end windings of a three-phase transformer. The dc link voltages of the inverters are regulated at different levels to obtain four-level operation. The simulation study is carried out in MATLAB/SIMULINK to predict the performance of the proposed scheme under balanced and unbalanced supply-voltage conditions. A laboratory prototype is developed to validate the simulation results. The control scheme is implemented using the TMS320F28335 digital signal processor. Further, stability behavior of the topology is investigated. The dynamic model is developed and transfer functions are derived. The system behavior is analyzed for various operating conditions. Fig. 1. Power system and the STATCOM model. Fig. 2. Frequency response ∆Vdc1(s) /∆δ1(s) at i’q0 =1.02 p.u., δ1=-0.90,δ2=178.90,R1=80 p.u., R2=60 p.u. Fig. 3. Root locus of the transfer function ∆Vdc1(s) /∆δ1(s) at i’q0 = – 0.75 p.u., δ1=-0.570,δ2=179.60,R1 =80 p.u., R2=60 p.u. Fig. 4. Reactive power control. (a) Source voltage and inverter current. (b) DC-link voltages of two inverters. Fig. 5. Operation during fault. (a) Grid voltages on the LV side of the transformer. (b) -axis negative-sequence current component i’dn. (c) -axis negative- sequence current component i’qn. Fig. 6. Experimental result: Capacitive mode of operation. (a) Source voltage (50 V/div) and STATCOM current (5 A/div). (b) DC-link voltages of inverter-1 and inverter-2 (20 V/div). Time scale: 5 ms/div. (c) Harmonic spectrum of current. Fig. 7. Experimental result: Mode change from capacitive to inductive. (a) DC-link voltages of inverter-1 and inverter-2 (20 V/div). Time scale: 100 ms/div. (b) Source voltage (100 V/div) and STATCOM current (5 A/div) in steady state. Time scale: 100 ms/div. DC-link voltage balance is one of the major issues in cascaded inverter-based STATCOMs. In this paper, a simple var compensating scheme is proposed for a cascaded two-level inverter- based multilevel inverter. The scheme ensures regulation of dc-link voltages of inverters at asymmetrical levels and reactive power compensation. The performance of the scheme is validated by simulation and experimentations under balanced and unbalanced voltage conditions. Further, the cause for instability when there is a change in reference current is investigated. The dynamic model is developed and transfer functions are derived. System behavior is analyzed for various operating conditions. From the analysis, it is inferred that the system is a non minimum phase type, that is, poles of the transfer function always lie on the left half of the -plane. However, zeros shift to the right half of the -plane for certain operating conditions. For such a system, oscillatory instability for high controller gains exists. N. G. Hingorani and L. Gyugyi, Understanding FACTS. Delhi, India: IEEE, 2001, Standard publishers distributors. H. Akagi, H. Fujita, S. Yonetani, and Y. Kondo, “A 6.6-kV transformerless STATCOM based on a five-level diode-clamped PWMconverter: System design and experimentation of a 200-V 10-kVA laboratory model,” IEEE Trans. Ind. Appl., vol. 44, no. 2, pp. 672–680, Mar./Apr. 2008. BTech and MTech EEE projects can be done in different domains. They are power electronics and drives, power systems, electrical machines and drives etc. Each of these domains use many technologies and areas. We understand the importance of IEEE papers for BTech and M.Tech EEE projects. Hence we hand pick IEEE projects for BTech and M.Tech EEE. We ensure that the IEEE papers and projects have enough scope for a two semister project work or for a final year project work. If needed an improvement over the simulated results by newer and better techniques for MTech EEE can also be done. The Matlab / Simulink software is used for doing EEE projects. We do give guidance for paper writing and suggest journals. 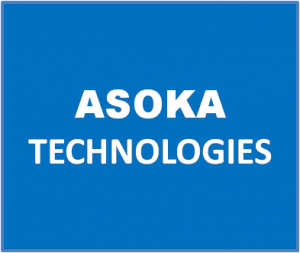 BTech and MTech EEE projects of various domains are available at Asoka Technologies. We also develop your own ideas. We deliver the projects within the time frame given by the students. Visit our website and blogspot for more papers. A novel switched-capacitor inverter is proposed. The proposed inverter outputs larger voltage than the input voltage by switching the capacitors in series and in parallel. The maximum output voltage is determined by the number of the capacitors. The proposed inverter, which does not need any inductors, can be smaller than a conventional two-stage unit which consists of a boost converter and an inverter bridge. Its output harmonics are reduced compared to a conventional voltage source single phase full bridge inverter. In this paper, the circuit configuration, the theoretical operation, the simulation results with MATLAB/ SIMULINK, and the experimental results are shown. The experimental results accorded with the theoretical calculation and the simulation results. Fig. 1. Circuit topology of the switched-capacitor inverter using series/ parallel conversion. Fig. 2. Simulated voltage waveforms of the proposed inverter (n = 2) designed for high power at 4.50 [kW], switching frequency f = 40 [kHz] and reference waveform frequency fref = 1 [kHz]. (a) Bus voltage waveform vbus and (b) the output voltage waveform vout. Fig. 3. Simulated current waveforms of the capacitor iC1 in the proposed inverter (n = 2). (a) Designed for low power at 5.76 [W] and (b) designed for high power at 4.50 [kW]. Fig. 4. Simulated spectra of the bus voltage waveform of the proposed inverters (n = 2) normalized with the fundamental component. (a) Designed for low power at 5.76 [W] and (b) designed for high power at 4.50 [kW]. Fig. 5. Simulated bus voltage waveforms vbus and the voltage waveforms of the load resistance vR of the proposed inverter (n = 2) designed for low power at 5.76 [W] with an inductive load. In this paper, a novel boost switched-capacitor inverter was proposed. The circuit topology was introduced. The modulation method, the determination method of the capacitance, and the loss calculation of the proposed inverter were shown. The circuit operation of the proposed inverter was confirmed by the simulation results and the experimental results with a resistive load and an inductive load. The proposed inverter outputs a larger voltage than the input voltage by switching the capacitors in series and in parallel. The inverter can operate with an inductive load. The structure of the inverter is simpler than the conventional switched-capacitor inverters. THD of the output waveform of the inverter is reduced compared to the conventional single phase full bridge inverter as the conventional multilevel inverter. H. Liu, L. M. Tolbert, S. Khomfoi, B. Ozpineci, and Z. Du, “Hybrid cascaded multilevel inverter with PWM control method,” in Proc. IEEE Power Electron. Spec. Conf., Jun. 2008, pp. 162–166. A. Emadi, S. S. Williamson, and A. Khaligh, “Power electronics intensive solutions for advanced electric, hybrid electric, and fuel cell vehicular power systems,” IEEE Trans. Power Electron., vol. 21, no. 3, pp. 567–577, May 2006. L. G. Franquelo, J. Rodriguez, J. I. Leon, S. Kouro, R. Portillo, and M. A. M. Prats, “The age of multilevel converters arrives,” IEEE Ind. Electron. Mag., vol. 2, no. 2, pp. 28–39, Jun. 2008. Y. Hinago and H. Koizumi, “A single phase multilevel inverter using switched series/parallel DC voltage sources,” IEEE Trans. Ind. Electron., vol. 57, no. 8, pp. 2643–2650, Aug. 2010. S. Chandrasekaran and L. U. Gokdere, “Integrated magnetics for interleaved DC–DC boost converter for fuel cell powered vehicles,” in Proc. IEEE Power Electron. Spec. Conf., Jun. 2004, pp. 356–361.